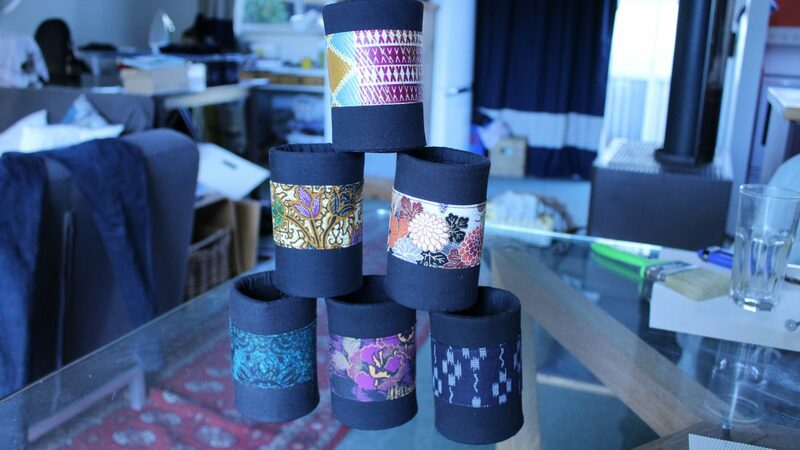 Lovely Stubbies are beer coolers that will keep your hands warm and dry over the cold winter months. 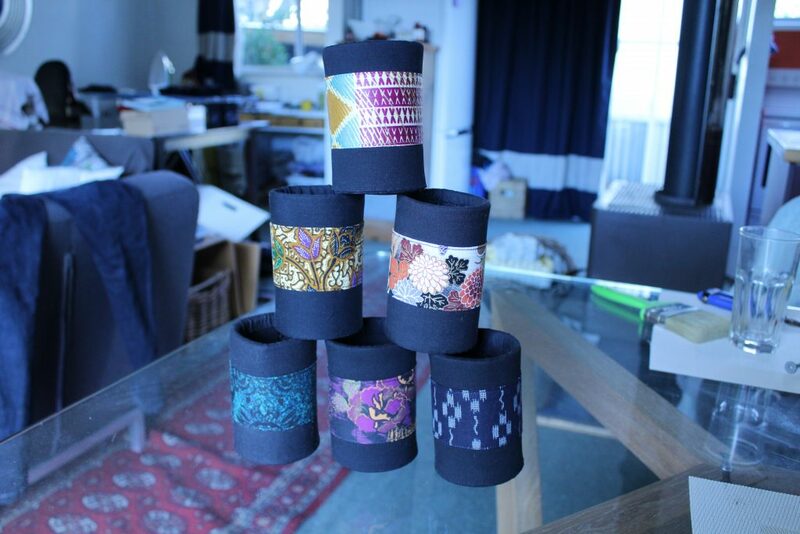 Hand covered in exotic fabrics collected from Japan, Thailand and Ghana. A classier way to keep your beer cool.